The main reason I am drawn to the blues is the diversity of what is performed within the genre. Blues musicians come from all backgrounds and nationalities, so the basic building blocks of their music are painted with these influences. This is why we get to hear blues with hints of country, hip hop, soul, gospel, world music, or whatever. Kat & Co. is a perfect example of this, as their new album I Kat the Blues serves up a version of blues that is unique from what I have heard before, but is still unmistakably the blues. 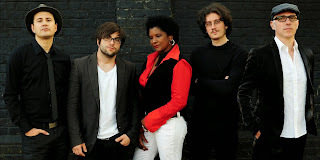 This London-based group is a multinational crew fronted by American chanteuse Kathleen Pearson. She is joined by guitarist (and producer) Francesco Accurso and Federico Parodi on keyboards and harmonica. The rest of the band for this album is made up of Vincenzo Virgillito on bass and Nick Owsianka on drums. Kat & Co. should be commended for not taking the easy route by filling up their debut album with cover tunes. They have been busy writing, and eight of the ten tracks are originals, with two wisely chose covers. The first track is one of these originals, and “New Spleen Blues” kicks things off on a strong note with a hard guitar tone, fat bass, and a spooky keyboard sound. Then as soon as we hear Pearson’s voice it is apparent that this is going to be a powerful and soulful blues album. She has a unique and edgy singing style that almost drops into spoken word at times. It is hard to describe, but her voice is wonderful! The lyrics are refreshingly modern as she chastises those who hide behind their phony online personas. The group is joined by Mud Morganfield on “Payin’ My Dues,” and he has a great chemistry with Pearson as they trade vocals. The lyrics are a clever back and forth in the classic “he said, she said” style with the inevitable ending of the shiftless musician getting kicked to the curb by his lady. The saucy vibe of this song makes it one of the standout tracks on the disc. “The Scene” features a few guest vocalists, too, with the tremendous Lil’ Jimmy Reed and Chad Strenz teaming up with Kathleen. This song takes a new twist on an old story, describing the bar life from three points of view: the lady (Pearson), the gent (Reed), and the bartender (Strenz). “Story of Two Pounds” is a fun piece that tricks the listener into thinking it is a country song and then launches into full-on boogie-woogie mode. Parodi does a bang-up job on the piano as Pearson and the boys go back and forth on the vocals that suggest that maybe we should not read too much into the panhandler’s motives – maybe he just needs a couple of bucks to get by. All of the tracks on I Kat the Blues are solid, but I have to call out “Make it Rain” as my favorite of the bunch. It starts slowly with electric piano and sweet harp work from Parodi, and then builds with electric guitars and bass until it turns into a full-blown gospel song. Pearson draws from deep down to belt out the lyrics and she is joined by Anna Ross, Yasmin Kadi and Aaron Pereira on the background vocals. This song is the high water mark where their musicianship and songwriting are both at their best. The two cover tunes are also nice pieces of work. “Tired of Tryin’” is a smoking roadhouse version of Johnny Winters’ original, and Mark Knopfler’s “Your Own Sweet Way” brings this album to a close with tasty lead guitar work and very smart drum fills. After dropping a few pretty vocal harmonies, Pearson drops out of the song early and Parodi finishes things up on the organ. 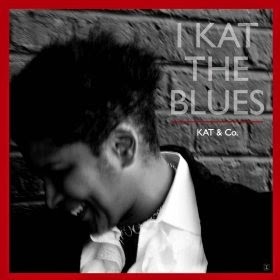 I Kat the Blues is a surprisingly mature first effort from Kat & Co. and I appreciate their approach to the blues that provides a new and interesting sound. 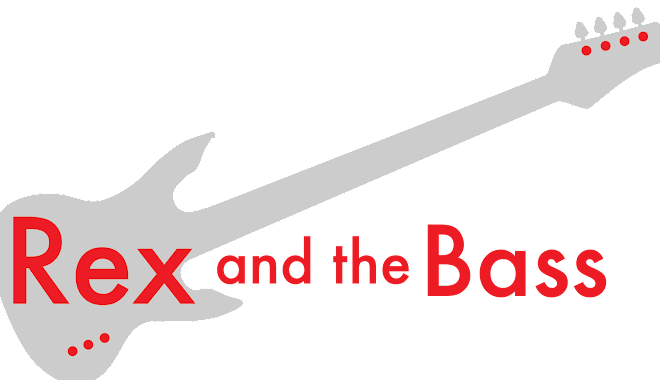 If you are a fan of blues or soul music you will find something in here that will please your senses. I hope you get a chance to give it a listen!